You are currently browsing the tag archive for the ‘Wolli Creek’ tag. I went to a lovely National Tree Day event today organized by the Wolli Creek Preservation Society – contact link on blogroll on the left-hand column. A large crowd of all ages divided into small groups for a guided walk through the area of Wolli Creek bushland that is at risk of being destroyed for an extension to the M5 motorway tunnel. 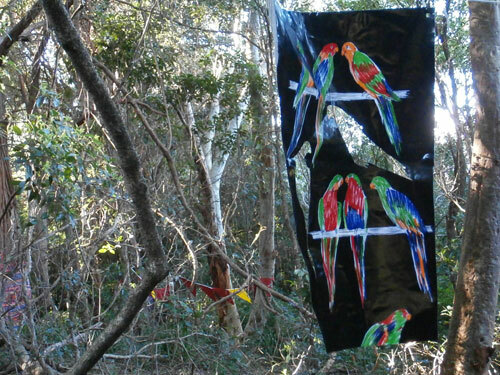 Painted hands prepared by local school children marked the track & here & there in the bush some of the beautiful trees were wrapped in colourful material. This was very successful in bringing one’s eye to the range of trees within this area. It was a gorgeous effect & must have taken quite a while for those who prepared the site for today. It was interesting to have the time to look at the trees that could be lost to the M5 tunnel & appreciate just how many very large trees are located in this section of Wolli Creek. What was also nice & helpful was that plants, weeds & trees were labeled along the path allowing us to learn their names, as well as know what vegetation was good & what were weeds. There was also a historical section called ‘Bowen’s Camp’ showing where a couple with two children lived during the Great Depression of the 1930s. This would not have been an easy time & though water is close, growing food must have been hard in the sandy soil. I thought it quite lovely that the sandstone markers the Bowen family used for their paths & gardens had been preserved & not lost over time. 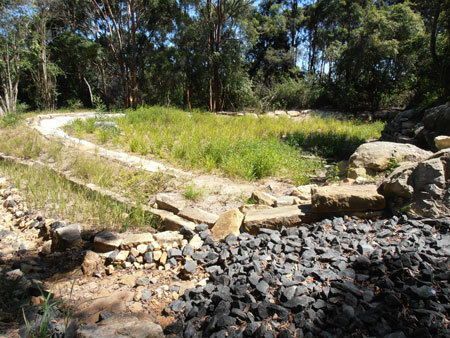 The walk finished at the new Bioretention Basin – see – http://bit.ly/Ms5rzR & then went up to Johnston Avenue where a sumptuous morning tea was waiting. A volunteer gave a number of illustrated talks about the history of this section of Wolli Creek & how the M5 motorway tunnel would literally destroy the area we just walked through. I’ve been to a number of National Tree Day events & planted trees. This was the first event where I was given time to admire trees as well as information about an area of bushland that I knew very little about. I enjoyed the experience & very much hope that a new route is found for the M5 motorway tunnel. 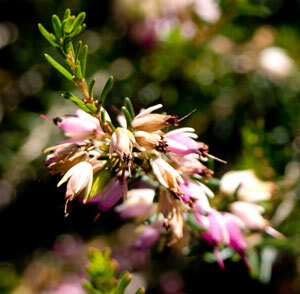 A short diversion of the M5 tunnel route would allow a very special piece of vital bushland to be retained. This would be very good for wildlife that have very little in terms of real areas of habitat left in the inner west & also provide many ongoing & important health benefits for the community. 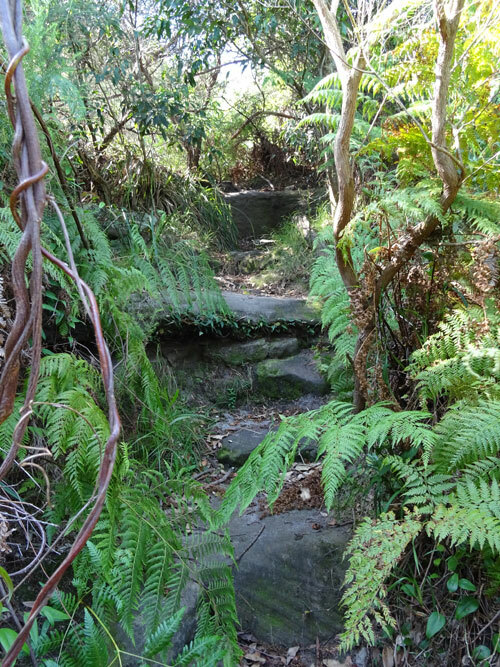 Wolli Creek itself & the Wolli Creek Preservation Society deserve our support to retain this precious area of remnant Sydney bushland. 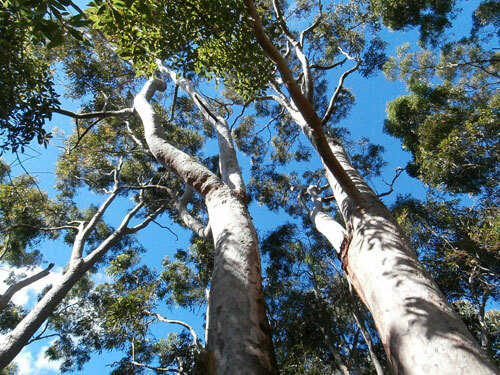 Wolli Creek is full of trees just like these. Meet at the junction of Bexley Road & the footpath leading to Johnston Street for a short guided walk. It is quite an important event as this area of Wolli Creek that is at extreme risk should the NSW government decide to extend the M5 at the end of 2012. If this area were destroyed it would be an incredible loss to the community & especially the wildlife. Wolli Creek is a very special & important area. 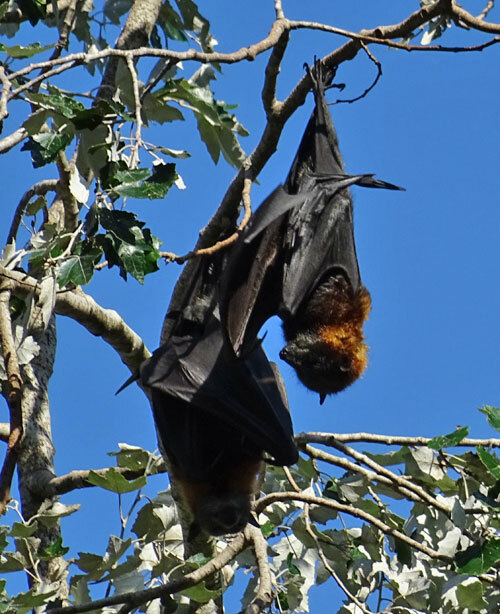 It is vital habitat for flying foxes as well as the overall biodiversity of the Inner West. We cannot destroy everything for roads. Nature needs a place & people also need nature. I’m with Ansel Adams who said, “It is horrifying that we have to fight our own government to save the environment.” Let’s hope this doesn’t eventuate & they find an alternative route for the tunnel expansion. 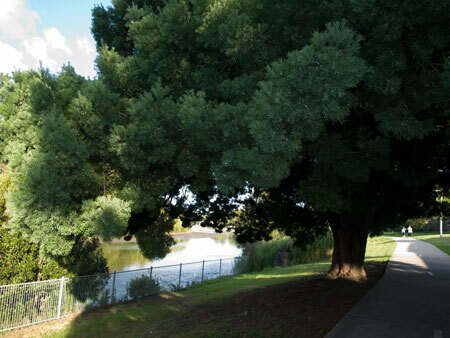 Marrickville Council will be celebrating National Tree Day later in the year on Sunday 9th September 2012 with tree planting planned for the Marrickville Golf Course. I will write more about this closer to the date. 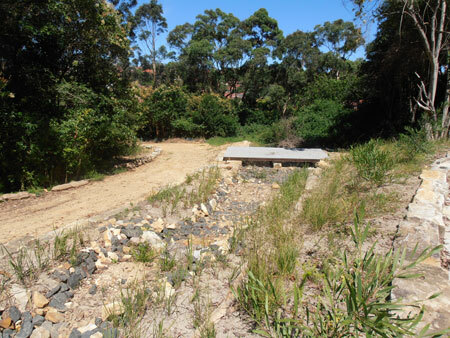 On a steaming hot day last October we went to see the recently completed Johnston Street Bioretention Basin at Earlwood & go for a walk around Illoura Reserve. The bioretention basin was much larger & more interesting than I expected. 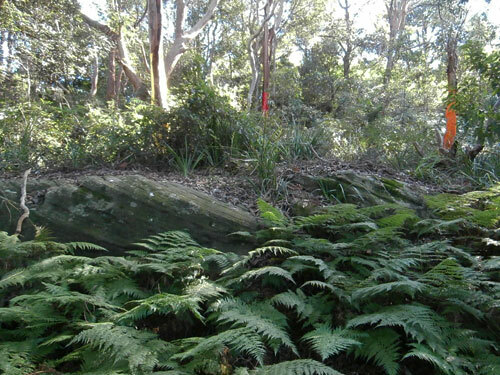 The bush at this location was also a surprise being quite different than other areas of Wolli Creek that I have walked. The trees were gorgeous. 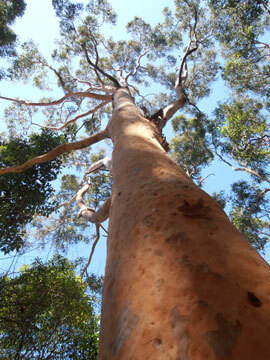 Towering Red Gums & Turpentine trees lead into the bush & the dreaded Privet was blooming so the air smelt nice. We went back again today just to see how much the plants in the basin had grown after all this rain we had. It was as expected, lush & green. What wasn’t expected was all the work done by the volunteers of the Wolli Creek Preservation Society. Signs say they are regenerating the bush around the basin. They had opened up a pathway that allowed us to walk right around the basin & up to the Red Gums. It is so nice being in bushland. That it is so close to Marrickville LGA makes us very lucky in my opinion. I had not heard of swales & bioretention basins until after starting SoT, so here is a brief rundown of what they do & some stats about this particular basin. A bioretention basin is constructed to manage & clean stormwater before it enters creeks or rivers. Stormwater enters our waterways at a terrific pace. This can erode the bank in places, but also erode the bottom of the watercourse. Stormwater also delivers an enormous amount of pollution to our waterways – nitrogen, phosphorus, heavy metals & fine sediments. All these have a detrimental effect the water quality of our rivers & creeks. A bioretention basin is really a scooped out landscaped area of land that can be big or small. They generally contain 3 layers: course sand or pea gravel at the bottom, another layer of sand in the middle & sandy loam at the top. The idea is that stormwater from our streets is directed to the bioretention basin where it literally percolates through these levels. This not only slows the stormwater, but it also cleans it of oils & other substances that comes off our roads. The cleaned water is either allowed to seep naturally into the ground to make its way to the river, or channeled via a pipe or pipes at the lowest layer as it is in this case. Finally the surface of the basin is planted with native grasses & small shrubs. The plants need to be able to tolerate water as well as periods where the basin is dry. Swales work on the same principle, but rather than a shape of a basin they look similar to a rocky creek bed. The Johnston Street Bioretention Basin also includes a long wide swale running downhill beside the basin. There is a large pipe that directs water from the basin to the bottom of the swale. 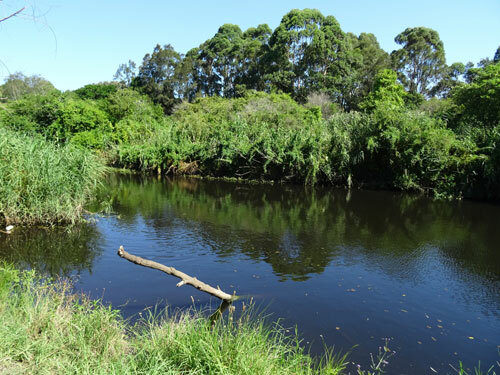 The Johnston Street Bioretention Basin, built by Sydney Metropolitan Catchment Management Authority, is expected to remove approximately 2,353 kg of sediment & 13kg of nitrogen annually before it enters Wolli Creek, which flows into the Cooks River & on to Botany Bay. Their sign says that the system is designed to remove 100% of gross pollutants, 79% total suspended solids, 57% total phosphorus & 30% total nitrogen. It’s beautiful & a terrific boon for the environment. It’s also well worth a visit. Showing the swale & the path to Illoura Reserve which is just around the bend. The Canterbury Aboriginal Advisory Group, the Cooks River Valley Association & Canterbury Council have organized the Two Valley Trail Reconciliation Walk on Sunday 18th September 2011. The walk will recognize & celebrate the role that Aboriginal people, past & present, have played in caring for the country of the Cooks River Valley & the Wolli Valley. 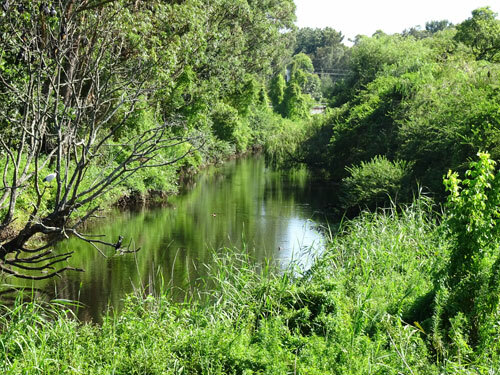 The walk is broken into 2 sections of Wolli Creek & 4 sections along the Cooks River allowing people to join any of the sections & leave when they like or participate in the whole walk. This is a great idea as it makes it much easier for people with health or time restrictions to be able to participate. 1st section meets at 10am at Girrahween Park. To get to the meeting place you need to either enter the car park above the park from St James Avenue or Joy Avenue Earlwood & walk down the steps or walk in from Fauna Street Earlwood. 2nd section meets at 11am at Turrella Reserve. The closest street is Finlays Avenue Earlwood. 1st section meets at 10.15am at Lees Park. The nearest street is Brighton Avenue Croydon Park. 2nd section meets at 10.30am at Mary MacKillop Park. The nearest cross streets are Fore Street & Canterbury Road Canterbury. 3rd section meets at 10.45am at Ewen Park. The nearest cross streets are Smith Avenue & Tennent Parade Hurlstone Park. 4th section meets at 11.15am at Steele Park. The nearest cross streets are Illawarra Road & Wharf Road Marrickville. At approximately 11.30am participants from both walks will meet at Gough Whitlam Reserve Bayview Avenue Earlwood for a free barbeque. 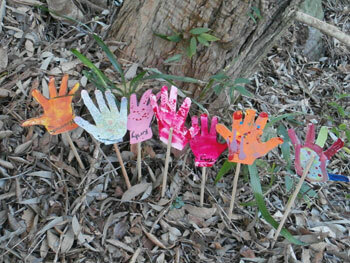 There will be Indigenous & environmental themed activities for children & families. At 12.30pm there will be an Acknowledgement of Country as part of a short official program. The barbeque & Acknowledgement of Country program is open to everyone, & you do not need to participate on the walks to attend. However, bookings are essential for catering purposes. 6. By contrast, Brisbane City Council ordered a redesign of the $10.2 million Perry Park upgrade to save a row of Fig trees. A spokesman said council policy was to retain “mature, healthy trees” where possible. In QLD, trees & street landscaping is everywhere & is wonderful. Dulwich Hill & Marrickville got a mention in an article about conservation in today’s Sydney Morning Herald. Apparently Echidnas live here. Earthwatch Institute & Landcare has launched a new research program & they are asking the community to let them know of minute changes to their local environment. You can log on & let them know of new birds, new insects, less birds & insects, earlier flowering seasons & what kind of animals/birds live in you area. Just in my area over the last 12 months has seen the arrival of a Spotted Pardalote, a baby Ring-tail Possum, a huge increase in birds & a bunch of Wedge-tail Eagles flying overhead. We have discovered the Bandicoots living in Lewisham, although WIRES already knew about them. Kookaburras are living in Lewisham trees that are fast been chopped down. There must be things happening in your area. If we report it, then we have a greater chance of saving its habitat should the need arise. Beautiful Wolli Creek also gets a main article on page 12 of today’s Sydney Morning Herald. 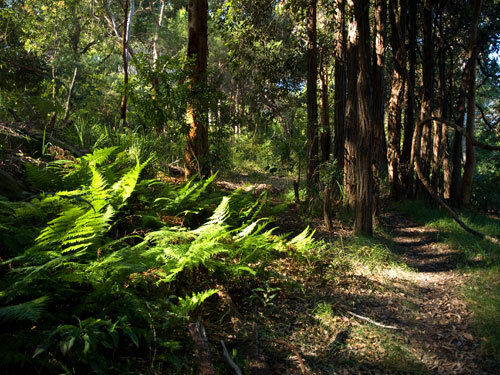 Wolli Creek Valley is 50 hectares of natural bush along 13 kms from Bexley North to Turella & is the only bushland of any size left in the inner south-west Sydney. 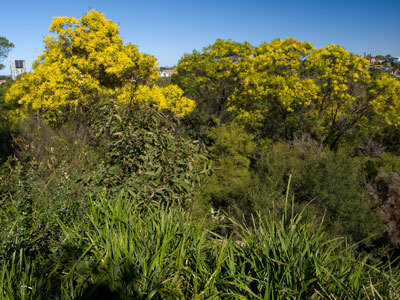 More than 260 plants have been identified in the Wolli Creek Valley & it is the home to many birds, animals, insects, flying- foxes, fish & frogs. It is very precious & a vital space for urban wildlife. 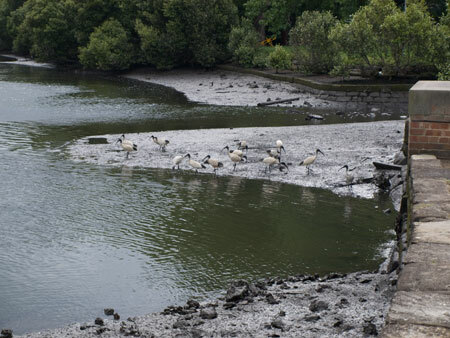 In 1998 the NSW state government of Bob Carr announced the prospective establishment of a Wolli Creek Regional Park under the management of National Parks & Wildlife Service. The Wolli Creek Regional Park remains nothing more than a promise almost 12 years later. Festival of the Trees: When I think about festive trees I think of Christmas trees. As it isn’t Christmas, the next tree I would call ‘festive’ is the Fig tree because it is so large, brimming with life & has the amazing ability to make me feel good. Fig trees it is. I love Fig trees, any type & the bigger the better. I love that they grow very tall & if left unpruned, can look like a mammoth upturned bowl of leaves. The Hill’s Fig is my favourite. 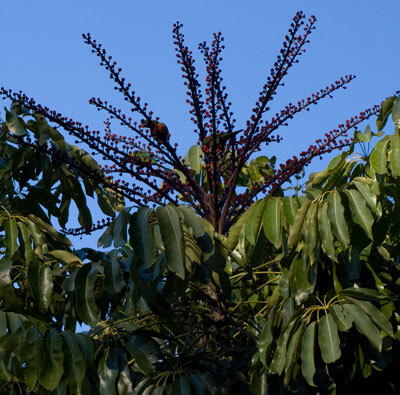 I love the colour of its leaves & the way its branches get a whitish look & grow skyward. Fig trees have featured in the greater part of my life. They are all over Balmain were I spent a good chunk of my adult life & were in the grounds of most places I worked. I’ve spent hundreds of hours sitting under Figs working, reading & chatting with friends. I’ve had picnics & held parties under them. I’ve even had a ‘first kiss’ underneath one. Unfortunately I have never lived with a Fig tree on the property, though I have had friends who did. I don’t live close to a Fig tree these days, but in the past I did. I used to love listening to the bats eating the figs in summer. 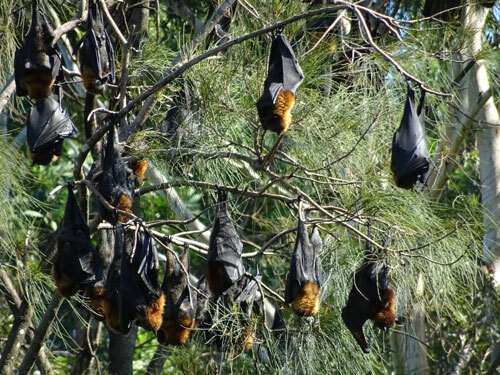 In particularly hot summers, the fruit would ferment & the bats would become drunk & fight amongst themselves, which made it difficult to get to sleep at times. After a couple of summers, the bats’ behaviour became white noise & I would have to specifically tune in to hear them. I also like to watch bats as they fly around. 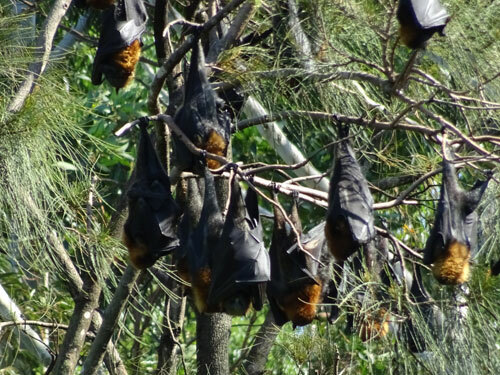 Just last month I spent half an hour watching the bats circle the Fig trees at a local park. Quietly, the bats flew around & around. After a while, I realised it was play. Sometime I will get myself organised to go to the east entrance of Wolli Creek to watch the thousands of bats fly out for the night. I am told it is quite a spectacle. As previously mentioned, the bats in the city are also beautiful to watch & I think this is a terrific bonus to tourism for Sydney. 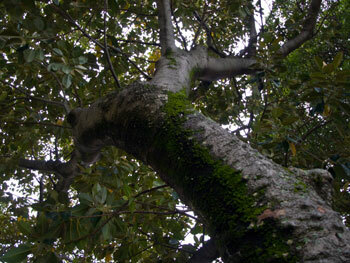 I love the thick branches of Fig trees. I particularly like the way part of their root system is above ground. I like the roots that descend from their branches ready to support the branch as it gets bigger & heavier. I like the knots that develop after a branch is cut off &, of course, I love their trunks. I like how dark & cool it can be when there are many mature Figs planted close to each other. Other than being in the water, there is nowhere cooler on a hot summer day. I even like that it takes a while for the rain to get to you if you are taking refuge from the weather by standing under a Fig. 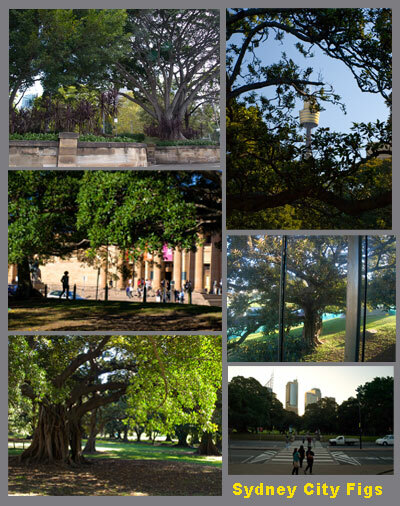 Sydney City Council puts Fig trees to great advantage by using their spectacular size & canopy to highlight many areas in the city & surrounding suburbs. The fairy lights wound around the branches of the avenues of Figs in Hyde Park & make it a very romantic place after dark. I think they add more fairy lights during the Festival of Sydney & this immediately creates a magical party feel. 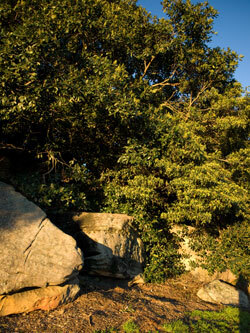 Leichhardt Council has many old Fig trees throughout the LGA. They have recently planted Fig trees every 4 metres along Lilyfield Road (which is at least a couple of kilometres long). Apart from being a beautiful feature to the street-scape, they also hide the railway line. Give the trees a few years to grow & this thoroughfare will look tremendous, with a huge canopy spilling over the road. I predict property prices here will rise even more. Marrickville Council has its own Figs including the oldest Fig in Sydney, though I’m not absolutely sure of this. The St Stephen’s Fig was planted in 1848. See – https://savingourtrees.wordpress.com/2010/02/24/st-stephens-fig/ It is most certainly the oldest in the LGA. Another very old Fig tree is on a private property in South Street Tempe. This is also a very special tree. 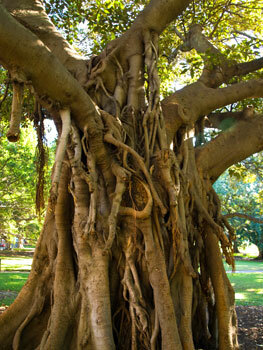 Then there is the ancient Morton Bay Fig in the IKEA development that the community is concerned about. Council also planted a ring of Figs in Tempe Reserve that I hope I live for long enough to see mature. 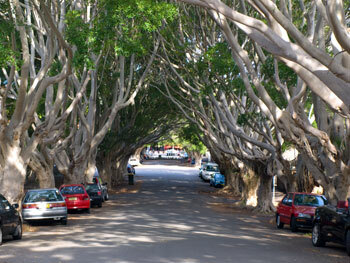 I would think most Councils in Sydney have a significant quota of Fig trees as these were popular in the early 1900’s. Now many are getting old (read senescent in ‘Arborist Speak’) & I fear they will be replaced with something like Tuckaroos. If this happens, it will be such a loss. If I were a Town Planner, I would insist that a Fig tree was planted at as many street corners as possible. Imagine the dramatic entrance to ordinary suburban streets if this is done. They do this in the Sunshine Coast to great effect. Shopping strips are kept cool by these trees & people linger just to sit in their shade. Because shoppers linger they spend more. Research has shown 11% more. I would also make Fig trees mandatory in public parks & in the grounds of hospitals, because a green outlook helps people feel emotionally good as well as increase the body’s healing ability. I would have Fig trees in school grounds to protect the children from the sun & stimulate their imagination, because Figs are magical trees & easily the stuff of fairy tales & tropical islands. Children, particularly girls, learn better when they can see trees during study. Boys tend to be calmer in leafy surrounds. The Fig tree is a giant in this regard. 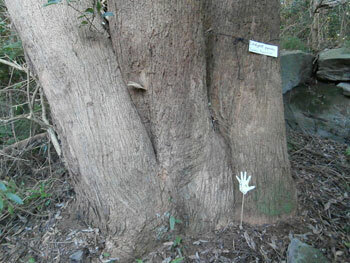 It is one of the largest trees in north Queensland. To count the tangled roots of the Curtain Fig would take a week. Its curtain of aerial roots drops 15 metres (49 feet) to the ground. How can I get Marrickville Council to plant one of these?